No matter what products or services you offer, email promotions are very useful during special holidays such as Mother’s’ Day. Email promotions are a fantastic way of reaching out to your consumer database in just a few minutes. Remind your customers of what you sell, and include a catalogue with your prices as well. Do this a few days before Mother’s day, and you are sure to get responses in the form of purchases for your goods. Audiences are always looking out for contests on social media. Contests, giveaways and sweepstakes are common around holidays and are now such an easy way to engage with your audience. You can have an essay writing competition on mothers, sharing photos of followers with their mothers and much more. If you have the time, come up with a contest. For instance, ask a question in relation to Mother’s Day and reward the followers who answer correctly. Facebook is a wonderful site for contests. You can also engage your audience in photo contests on Instagram. If you have limited time to judge all the submissions that may come through, just come up with a simple sweepstake. Keep contests simple and easy for your audience to participate, and make it interesting to attract a large number of followers and give them the feeling that it will be worth their time. Another great way to engage your customers during Mother’s Day is by creating a “mothers’” board on Pinterest. You can pin photos of inspiring women, photos of mothers and their children, inspirational quotes, etc. – anything that will inspire a mother’s love. Such a board will be very engaging and will make your audience feel part of something. It is also a fun way to interact with your audience. Moreover, you can reuse the content generated for future marketing efforts for your company. During such an important day celebrated on a global scale, Twitter is bound to have a number of related trending hashtags. You can take advantage of these hashtags and use them for your marketing strategy when you promote your company products. Alternatively, you can create your own hashtag, but the challenge with this is making it a trend, so be sure to invite your followers to use your hashtags to make it a trend. Customers want products and services that create value. You can add value for your customers during Mother’s Day by creating a shopping guide and post it on your company website and social media sites. This will push your company even further. And don’t forget to include specials and discounts! Show a little emotion in your social strategy as the occasion calls for it. Make the day special by asking your employees to share photos of them and their mothers on social media. This creates a personal connection with your audience. You can also collect photos of those in management with their mothers and share the photos. Instagram is a great social media platform for sharing photos. Also, the network always has some followers who are looking for emotional connecting photos. Use this to your advantage and appeal to the emotions of your followers by asking them for comments or reposts of the photos. As much as buyers are looking to buy gifts for their mothers, they will always appreciate discounts, and most of them will be looking for Mother’s Day specials. People are always looking out for discounts during holidays, so come up with a special sale a few days towards Mother’s Day to attract more customers. Make sure that your audience knows about your special prices by promoting them on all your online platforms. Tweet about it, share it on Instagram and Facebook. Also, have a designer create an advert or a pop-up message that contains products on offer when users click on your website. Many people will do their shopping last minute. If you sell your products online, promote your business by offering a special expedited shipping during Mother’s Day so that your customers can receive their orders fast. Again, during the last days before a holiday is when people have the ability and desire to spend money. You can shorten the period of shipping but add a cost to it and share it on your website. Consumers will be more than willing to pay a higher price for the product provided that they get their gift in time to give to their mothers. Don’t let holiday marketing opportunities pass you by. Use this time to your advantage and increase marketing for your products and services. Also, tailor your products and services to the holiday at hand. You can also add an extra gift with every purchase, such as flowers or chocolates. Remember, such holidays require that you appeal to the emotions of your audience. Hence, communicate your messages in a way that it is not really about the products but about the customer and his/her needs. 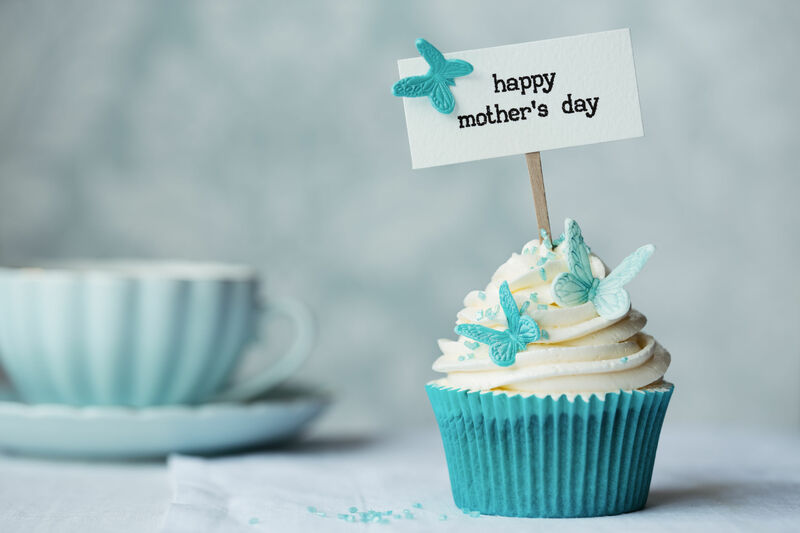 Be creative and inspiring when promoting your business on Mother’s Day.